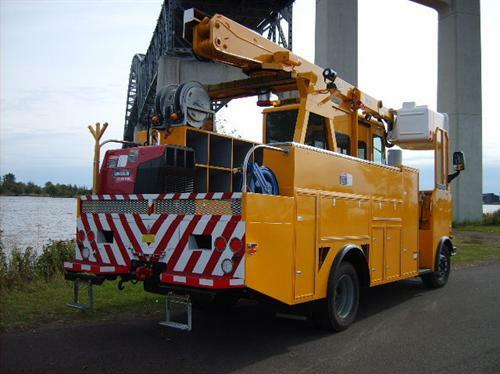 Utility companies often send their crews and equipment into tough terrain—where weather, water and other obstacles often wait in their path. 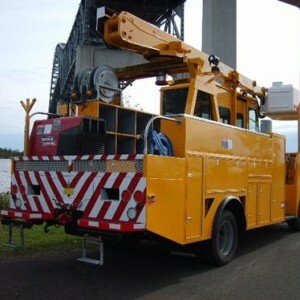 They need tough, dependable vehicles that have the latest equipment and every able safety feature to get the job done. 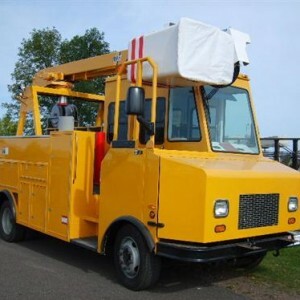 This lamp lighter truck is just one example of Triune’s durable, functional and customizable utility trucks. This aluminum and steel beauty fits the lift and compartments for all tools in a sleek and sturdy exterior, while providing DOT-regulated driver safety and comfort features. 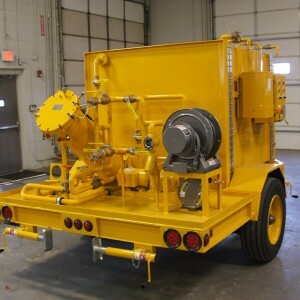 This second trailer is a custom designed and manufactured utility pump and filtration trailer. 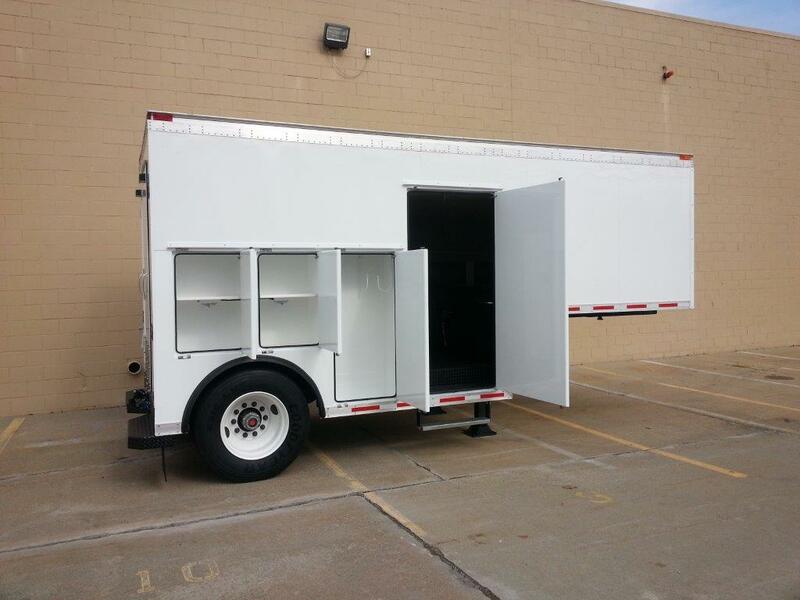 Triune customizes the trailer based on the customer’s needs (tank size, pump size and filter requirements, etc.). The trailer is equipped with perimeter containment for a spill within the trailer bed and is fully welded and tested for leaks. 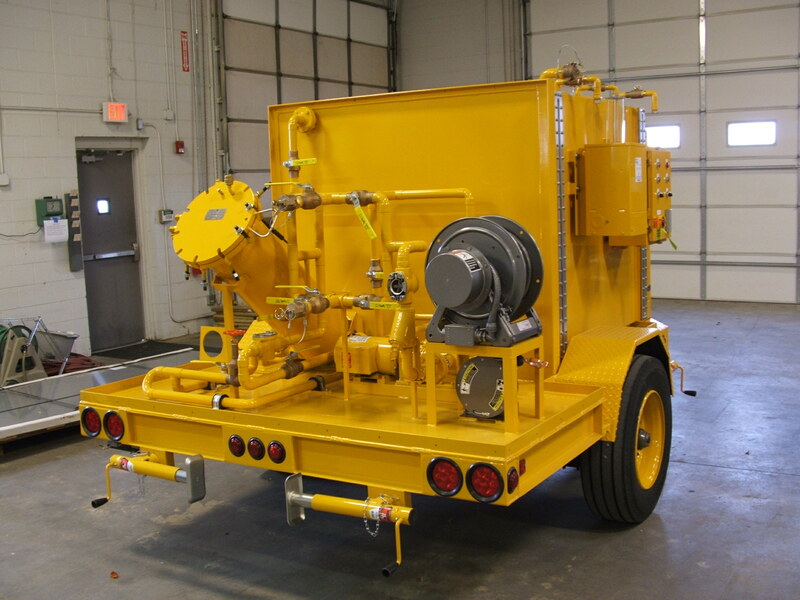 It contains many custom features including drain plugs, filtration and piping, steel holding tanks and sight gauge. 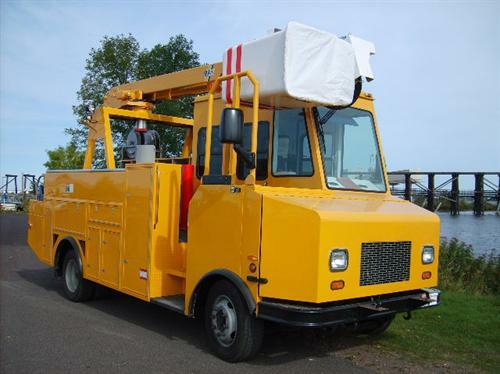 The Workhorse electrical utility trailer is 20 feet long and has the strength to pull heavy cable from pole to pole, a large payload capacity and has a spacious interior for carrying cables, spare parts and special tools. The trailer is equipped with a spring-assist flip down door that allows cable to be pulled into the trailer through a 3,500 lb., 12-volt winch. 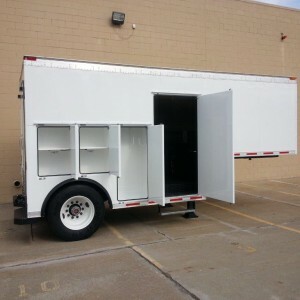 The trailer’s special features include (TAT) Triune Adhesive Technology, a reduction of steel to eliminate corrosion, full interior aluminum skin with numerous hooks for transport of materials, a rear pintel eye, an air line and electrical connections. It also has specialty exterior handles and seals to ensure longevity in the harsh environment. All of Triune’s specialty utility trailers are built with our utility customers’ needs and exact specifications in mind. Weather, working environment, payload, electrical needs—all factors are considered when building our powerful, long-lasting utility vehicles.